Franklin Lyman Olds was born on 16 February 1810, the first child of Gideon and Elizabeth “Betsey” (Lyman) Olds of Jericho, Chittendon County, Vermont. His parents were both children of families who had moved up New England to colonial western Vermont. There is no known previous usage of the given name Franklin in his family and it is possible he was named in honor of Benjamin Franklin by his parents, whose fathers had both fought in the American Revolution. It was a given name that would carry on down the generations. We the undersigned would humbly represent to your Honorable body, that great difficulties and damages are incurred by the Farming interest in this State in consequence of the prevailing custom of turning cattle except Yearlings to run at large in the Highways during the Summer and Autumn. And as the laws of the State are considered insufficient to restrain such cattle from so running at large, We do therefore pray your Honorable body that an act may be passed effectually to produce such restraint . . . 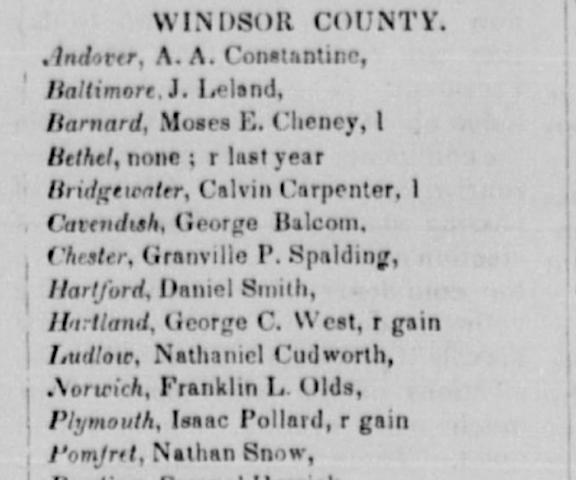 In 1834 he was again one of many petitioners; this time they asked for the legislature to allow an educational facility that would become Norwich University. Norwich was a small town, so Franklin could have met Lucy Blood at almost any activity or location around the mostly rural town. On 26 November 1835, Lucy and Franklin were married in Norwich by Samuel Goddard. Lucy’s mother had also died prior to their wedding, but both their fathers were still alive. To date I have been unable to locate them on the 1840 federal census, and since it only enumerates each head-of-household, the young couple may have been living with a relative. Franklin opened a general store in Norwich with his brother Erastus William Olds. They were known as F L & E W Olds. 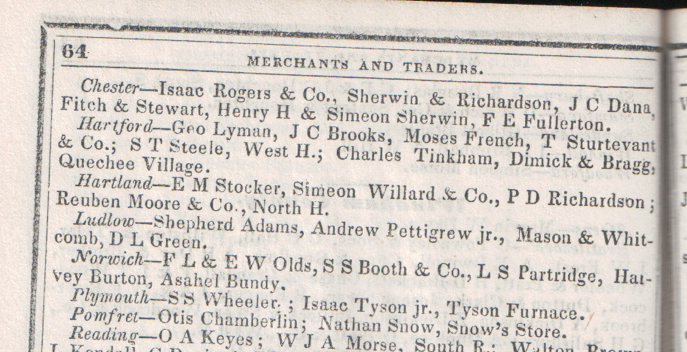 F L & E W Olds are listed in the “Merchants and Traders” section of the 1849 Walton’s Vermont Register and Farmers’ Almanac. I purchased this copy on eBay a few years ago. Franklin was elected a Representative to Vermont’s General Assembly for 1856-57. Through a digitized Journal of the House of the State of Vermont, I know he filed a report as part of the Committee on State Prisons. 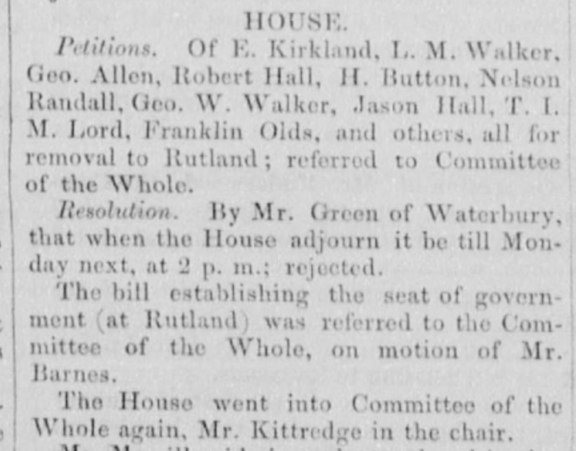 He was also a Representative while the Vermont legislature was considering moving the capital of Vermont from Montpelier to Rutland, as shown in the newspaper excerpt below. As the general store in a small, mostly rural community, their fortunes boomed. On the 1850 census, Franklin was listed with real estate worth $570 and Erastus with real estate worth $1,000. By the 1860 federal census, Franklin was listed as having real estate worth $1,250 and “personal estate” worth $5,000. Younger brother Erastus’s real estate was a bit less expensive – still listed at $1,000, he was probably living in the same place as a decade prior – but Erastus was listed with the exact same personal estate as Franklin, $5,000. With personal estates together totaling $10,000, Franklin and Erastus made up the majority of the wealth on their census page, the entire total of personal estates only being $13,300. As was common then amongst merchants and others who owned businesses that many people frequented, Franklin shortly became the postmaster of Norwich. The top entries in a page of the postmaster appointments register, the first entry being for Franklin L. Olds, who was appointed postmaster of Norwich on 20 June 1861 and served until around 1885 (the last number of the year Lewis Partridge was appointed is difficult to read due to the binding tape). The register also lists (not pictured here) that Erastus Olds became postmaster in 1889, after two others briefly served as postmasters. Seema Kenney retrieved this record for me from NARA, but the record set has since been added to Ancestry.com. A storm was brewing in the divided nation, and the Civil War shortly broke out. As the war did not end in a few months as many in the Union thought, and then turned ever more bloody and expensive, the Union turned to new ways to fund the war and get soldiers to fight it. An increasing array of taxes were introduced and a draft was instituted. Too old to be drafted, Franklin and Erastus chose not to voluntarily enlist. But as merchants who were relatively wealthy for a small community, they were subject to a variety of taxes. They were taxed as “Retail Dealers” and individually taxed for the incomes from their business. After the war ended, the taxes initially continued as the Union side tried to recoup some of the financial devastation war had wrought on the federal government. An increasing number of items were taxed, and that’s how I know that Franklin’s household owned a piano. As head-of-household, Franklin was the one who was taxed for it, but since it was a musical instrument, I have no way of knowing which member(s) of the household actually played it. I’ve always found this interesting, as I always enjoy learning more about the day-to-day lives of the people I research, but have found it especially so since I recently began learning to play the piano myself. It is nice to imagine a household filled with music. On 8 November 1867, the Norwich Classical and English Boarding School was incorporated by the Vermont State Legislature, and it opened the following year. Franklin was on the Board of Trustees starting in 1868, listed with the honorific of “Esq.” (short for “Esquire”). The school created a rather melodramatic advertisement about its wonderful staff, perfect building, idyllic location, and specialization in classical instruction. However, the school did not last very long, closing in 1877; this was apparently at least partially due to regular staff turnover. In the 1870’s, the general store caught fire. Erastus and his wife, who lived above the store, were wakened by a daughter who had spotted the fire and escaped. The store was rebuilt, but according to a local history of the area, Erastus ran it on his own from that point forward. By this time Franklin was at least in his 60’s, but continued on as postmaster for several more years. Under a federal act of 3 March 1883, c. 142, (22 St. pp. 600, 602,), first to third class postmasters were allowed to put in claims for readjusted pay if they had been postmasters certain years. (See a partial quote of the act in this transcript of a Supreme Court case regarding it.) Judging by the Serial Sets, a large number of postmasters did; Franklin was one of them. It took a long time for the federal government to go through all the claims, and while many of them appear to have been rejected, Franklin’s was one of the ones eventually accepted (see 1886’s Serial Set Vol. 2401 [House Executive Document 225], p. 73). He received an additional $92.80 in pay for having served as Norwich’s postmaster in 1873 and 1874. Just a handful of years after retiring as postmaster, Franklin died in his beloved Norwich, on 4 January 1890. His widow Lucy died nearly exactly four years later, on 27 January 1894, in Norwich. Original copies of the petitions mentioned early in this blog post are held by the Vermont State Archives. The American Antiquarian Society in Worcester, Massachusetts, has a collection of school-related materials. An online list of schools represented in their collection is over here. The NARA-Waltham branch (in Massachusetts) contains the original volumes of the 1860’s IRS tax lists for Vermont. Ancestry.com has an extensive collection of scanned printed school materials that (at least for me) generally do not show up in my regular searches. Only by going to the category for school materials do I generally get any hits. Materials pertaining to the Norwich Classical and English Boarding School are amongst its holdings. This past week, for the first time I had the pleasure of attending the New England Regional Genealogical Conference (known as “NERGC,” and pronounced sort of like “nerk”). NERGC is held every two years in various places in New England, mostly small cities. This year NERGC was held in Manchester, New Hampshire, about an hour’s drive from metropolitan Boston, and I was able to find people with whom to carpool each day. NERGC opened with a first-timers’ session, which folks recommended I simply skip as they thought the information in it would be too basic for me. After the session I talked with another first-timer who did attend it and said that there wasn’t any useful-to-them information given in the session, so I was glad that I had decided to socialize instead. In the lobby of the hotel where the conference was being held, I met Heather Wilkinson Rojo of the well-known blog Nutfield Genealogy in person for the first time after meeting her online a number of years ago, and saw many other people. Next on the schedule was what the program called the “opening session,” which was comparable to what many other conferences and events term a “keynote speech.” While I was waiting in the crowd to enter the big hall, another person waiting said that as of that morning, there were 863 people registered for NERGC. While as a first-timer to NERGC I don’t have a basis on which to compare this, reactions of others to that number and generally to the large crowds for the venue suggested that this was a lot for this conference. Like one of Sandra Clunies’s three main example research subjects, my ancestor’s sisters made money and met husbands there. All three of his sisters married in Massachusetts and then literally went in different directions from there. 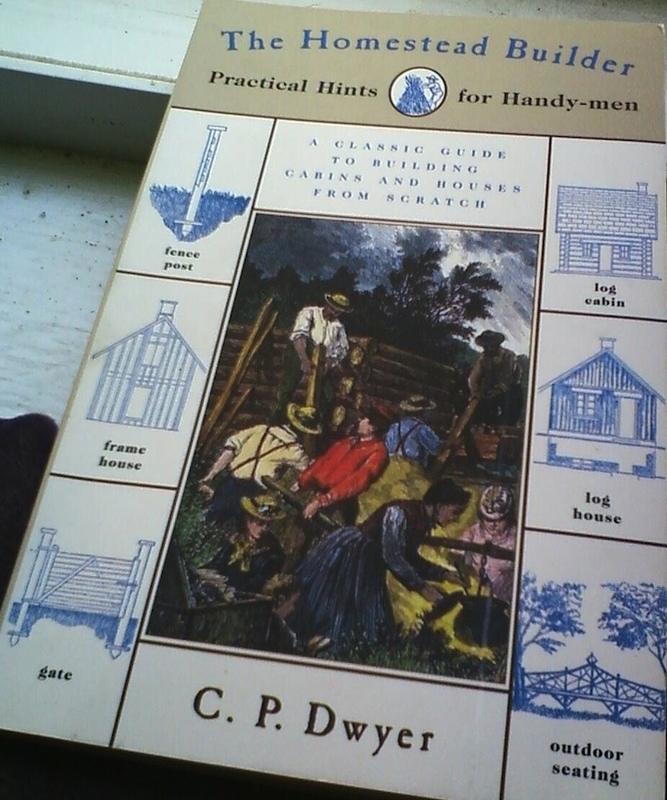 I had hoped to gain new insight into the mill towns via the lecture, but as someone from one of the mill towns whom I met at a later lecture phrased it regarding themselves, “I already knew too much.” That’s certainly not Sandra Clunies’s fault. For anyone who has an interest in the New England mill towns, I recommend reading Loom & Spindle: or, Life Among the Early Mill Girls by Harriet H. Robinson. I particularly recommend the revised edition that was published in 1976 by Press Pacifica. Future abolitionist and suffragist Harriet Hanson Robinson started working in the Lowell, Massachusetts, mills in 1835 at age 10, and Loom & Spindle is the memoir that she published decades later reflecting on her early life in the mills. Press Pacifica slightly revised the work based on notes in Robinson’s own copy of her book and added a succinct, informative introduction by Jane Wilkins Pultz that greatly helped me understand the mill girls’ politics and lives. Next up was a break, for attendees to have lunch and for the venue to break the large hall where we had heard Clunies speak into smaller rooms for the afternoon lectures; at the end of the talk they requested everyone leave the hall so they could do just that. After lunch I first attended Laura Prescott’s talk entitled “Spinsters and Widows: Gender Loyalty within Families.” The description led some of the other people I knew there to suspect the lecture would be too basic for them, and as far as I am aware, I am the only person I knew there who attended it. This was a shame, as I enjoyed it and did not find it overly basic. She started out talking about more and more American women waiting longer to marry starting around the mid-1800’s, and cited some specific examples of stories and songs from pop culture of the time period. This is something that I have noticed in my own research, but I had not heard the subject addressed in a genealogy lecture I attended before. Laura Prescott then moved on to a variety of strategies researchers can use in researching the women in their families, including a variety of types of documents, websites, and repositories. I thought it was particularly interesting that she had found a document in a 19th-century American deed book wherein a woman who had waited some time to marry and thus accumulated some of her own belongings before marriage entered into a contract with her future husband, with a detailed list of a number of her belongings and a statement that these belongings were to be brought to a house secured by her future husband and his family in a specific town. Laura Prescott said she basically thought of it as an early prenup. I don’t think I would personally think of it in those exact terms, but I’m always fascinated to learn there is a record type of which I had previously been unaware. The other thing I found most noteworthy about Laura Prescott’s talk was that she cited some examples of “spinster” being used in colonial documents to mean a woman legally acting for herself rather than the definition many of us most often encounter, a woman who has never married. When I heard it I didn’t remember ever hearing it before, though on the car ride home I was reminded that Melinde Lutz Byrne gave the same explanation in her National Genealogical Society Quarterly [U. S.] article on Zipporah and the headless baby. This is a good example that sometimes we just forget things! The article Laura Prescott suggested reading for more information is “Spinster: An Indicator of Legal Status” by Eugene A. Stratton, CG, FASG, in The American Genealogist 61:3 (Jan/Apr 1986). I next attended David Allen Lambert’s talk titled “Massachusetts Native American Research.” Despite the schedule’s title, the description made it clear to me that this was not a general lecture geared towards learning how to research any southern New England Native American tribe, but rather a case study of the tribe known as the Punkapoag. I had already attended a talk of the former type at the Boston Public Library last year so I did not mind. I spent a semester of college living on a Reservation in British Columbia and traveling to other Native communities (or more precisely, “to other First Nations,” as it is phrased in Canada), and Native American tribes’ histories and cultures remain of interest to me. I found the lecture very interesting, though I don’t know how I would summarize it here. The audience for this lecture was one of the smallest of any of the lectures I attended at NERGC, which was too bad. One thing that especially stuck with me is that David Lambert gave a few examples of people for whom he has only found one extant document for their entire life, and it made him wonder about all the people for whom he has not found any. This is something I think about a fair amount in my own research, especially when I am researching farther back in time and/or researching in frontier areas of North America. The last lecture I attended on Thursday was Colleen Fitzpatrick’s “You Will Never Look at Your Old Photos the Same Way Again!” Forensic genealogy expert and retired rocket scientist Colleen Fitzpatrick gave several lectures at NERGC, and I chose to attend this one on using background details to help analyze old photos because I felt that it could be immediately useful in helping me to identify my old photos that have no date, no place, and/or no people listed. I was right. Colleen Fitzpatrick successfully analyzed bits of background details that it never would have occurred to me to even attempt to do. My favorite example was her longest one, of trying to date a photograph of some men in a bar in New Orleans. She picked apart every background detail she could, including the cash register and the items on the wall, and when those didn’t successfully identify the date, she moved on to the items you could barely see outside the bar through the door, such as a car you could kind of see that she and the people she works with were able to identify as a particular type of Model-T, and the first manufacture date of the car gave a precise earliest date that the photo could have been taken. By the end of her work with the photograph, she was able to pinpoint the exact street address of the bar, the approximate date that the client’s ancestor took over the bar, the business across the street, and an approximately year-long time range when the photograph could have been taken. In the process Colleen Fitzpatrick also found a number of background-information items that she considered interesting but which turned out not to help date the photograph. However, as she illustrated well, there is no way to know for sure whether something in the background of a photograph (or mentioned in a document, or…) will be useful in photo identification or other research until you do the background research and determine whether it is. This is very much the same way I work when I am researching so I found her process very easy to follow and understand. At the end Colleen Fitzpatrick took questions. Someone asked her what software she uses and she said that she does not use PhotoShop but rather freeware called IrfanView. I intend to try it out, but haven’t done so yet. After the last lecture of the day, there was a structured hour-long break, followed at 5:15 by the “Society Fair & Social Hour” and at 6:00 by the opening of the “Exhibit Hall.” The Society Fair was comprised mostly of some of the smaller genealogical societies, most of them geographically- or surname-based. The vendors in the Exhibit Hall were primarily a mix of genealogical societies and libraries; genealogical services such as educational opportunities, websites, and professional genealogy companies; and private vendors selling such items as books and maps. Thanks to a tip from someone I know, I stopped by the Genealogical Society of Vermont‘s booth to check out the old books they turned out to be selling there in addition to their own publications. I ended up spending much of my hall time looking through their old books and chatting with the volunteers that were staffing their booth. While we were chatting one of the Genealogical Society of Vermont’s volunteers told me a story regarding Vermont-born Chester Arthur, who was elected Vice President of the United States and then assumed the presidency when President James Garfield was assassinated in 1881. Arthur’s father had emigrated from northern Ireland to Canada, and their nuclear family had initially lived in Canada before moving to Vermont. Though Arthur was born after the family moved to Vermont, the question of whether or not he was an American citizen was a hot political topic during the campaign. The volunteer I was chatting with said that he had attended an event at Arthur’s historic house in Vermont where the staff said that having been unable to prove Arthur’s Vermont birth through vital records or other similar records, the staff had used state directories (small Vermont’s equivalent of city or county directories elsewhere) to prove that the family was residing in Vermont by the time Arthur was born. I arrived home in metro Boston around 8:30-8:45 and was in bed by 9:30, before the shootout that night between the Boston Marathon bombing suspects and police in nearby Watertown, Massachusetts, had made the news, as I would discover very early the next morning. I know that often people who don’t normally visit a blog will visit certain posts specifically to read about conferences and other special events, so I’m putting most of my personal reflections and more tangential thoughts on each day at NERGC at the end of the post so these visitors don’t need to wade through them to read the rest of the post. Think of them as paragraph-sized bullet points rather than a narrative. You are of course welcome to simply skip this section. For those of you that have never been to a genealogical conference before, it can kind of be a bit overwhelming, with a mix of information overload and sensory overload. I had hoped to blog during NERGC about the conference, but found that I was just too overwhelmed and tired to do so. I apologize that this first post is being posted a week after the conference. I am working on drafts for my other two days at NERGC as well as a draft of some general food for thought about what various genealogy conferences are doing well and some ideas they could maybe take from the way other conferences do some things. I hope to post all of these within the next few days or so. My Thursday afternoon lecture choices were ones I consider pretty safe. I had heard both Laura Prescott and David Lambert speak on other subjects in the past, and a number of fellow alumni of Boston University’s Center for Professional Education’s Certificate in Genealogical Research Program had taken the Forensic Genealogy course that Colleen Fitzpatrick co-taught at Boston University last summer and raved about her teaching skills. Some genealogists I know prefer to stick to the well-known names in lecturing and teaching because they feel that guarantees a good lecture. But those well-known names became that way because someone initially gave them a chance. Personally I prefer to go to lectures by people I have heard before, speakers and/or lectures that are recommended by people I know, or subjects about which I am interested in learning more. This last one means that I have heard some dud lectures in my lifetime, but it also means that I have heard some gems where I was one of only a handful of people in the room. As someone without a car, I am limited in what events I can attend by what is accessible by public transit or knowing someone with a car who is attending and willing to take me along. I count myself as lucky that I was able to carpool to NERGC this year and greatly thank those that carpooled with me and the additional person that offered to carpool after I had arranged all my rides. My great-great-grandparents, David and Clara, started out with lives about as ordinary as possible for Vermont as it neared the middle of the 19th century. David’s parents were farmers; Clara’s parents and her uncle and aunt together ran the general store in the small town that the farms surrounded. Clara’s father was the town postmaster, as was typical for merchants in small towns then. It’s very likely that Clara and David knew each other from childhood, though I have no direct evidence to support that theory. However they met, they married at the end of 1860. I often wonder about what their lives were like then. Did they know that war was coming? A year later they gave birth to their first child, whose birth was registered without a name by the town clerk. The Civil War was raging by then, and Vermont would go on to have what many believe was the highest per capita casualty rate in the country. But David and Clara were busy raising a family and running a farm. If they had opinions about the war – and I find it a bit hard to believe that any Vermonter, living in the first place to outlaw slavery in what would become the US, didn’t – those were not included in the family papers that were passed down to me. Two years later, in the middle of the war, they gave birth to their only other known child. If they had further children, these children didn’t even survive long enough for their short lives to be registered at the town hall. Such a small number of children was not typical of American families at this time. But the demographics of the country were changing. With only two children to raise, David and Clara gave their all to ensuring they had good educations. This was a wise move, as Vermont would shortly lose much of its population as young people sized up their chances in an overcrowded small state after the war ended. And so it came to be that the son of two small-town Vermonters – and my would-be great-grandfather – went to law school and moved to one of the largest cities in the United States, Cincinnati, in search of a brighter future than what was available where he had originated. My great-grandfather in an albumen photo taken shortly after he moved to Cincinnati, Ohio. With most people I research, all I can do for their day-to-day lives is speculate based on available outside records & reading social history. But my great-grandfather is a different story. His family saved many of his papers. He had the active social life typical of a young man then or now upon his move to the big city. One of several saved invitations follows. Invitation for my great-grandfather to play cards. The writer wrote so exuberantly that she wrote off the right edge of the paper. While this is dated only ‘Saturday,’ based on the bundle of papers with it, it was very likely from late 1880’s Cincinnati. My great-grandfather’s life would change dramatically in the span of one year, as he was appointed Clerk of a US Appellate Court and married my great-grandmother. In his journal, also passed down to me, he calls it the most important year of his life. My great-grandfather in his office at the courthouse, dated very shortly after he was appointed Clerk of a US Appellate Court. Through the comparably large number of my great-grandfather’s items that the family saved, I have a much better sense than I typically would that I probably would have gotten along very well with him. Telephones were rather new to Cincinnati while he was clerking, and he used the courthouse stationery to express his displeasure at the cutting of trees, perhaps hoping that it would add extra weight to his complaint. It’s the kind of letter that I would write today. His copy of his letter has a notation indicating he received a response, but that is not among the saved items. My great-grandfather’s 1903 letter regarding the telephone company cutting trees, written on courthouse stationery. Looking to have been clipped from a newspaper, this commentary on the American women’s suffrage movement seems to me to be wry. From my great-grandfather’s scrapbook. My great-grandfather would not live to see American women win the federal right to vote, though from the above clipping I suspect this man who had devoted his adult life to studying, understanding, and writing on American law would have been pleased. My great-grandfather committed suicide in 1915. I found out through my genealogical research, though after I discovered it I found out that this was one family secret that the family already knew – they just hadn’t told me. The family story I heard in response to my discovery is that he had had cancer for many years and the pain had gotten to be too much for him to bear. I subsequently discovered that another family story is that he had killed himself to spare his family the debt of what he believed to be an incurable disease. His death was carried in numerous newspapers around the country, openly reported as a suicide. Most of the articles said that he had had a long-term illness for many years and had only very recently become despondent over it. I don’t see any reason all three of these stories couldn’t be true. My great-grandmother was owner of the lot where he was interred, and likely provided the information on the card. My great-grandfather’s entire story deserves to be told, from his birth to his painful and pain-causing death. I’m finishing and posting this draft today because it is World Mental Health Day and this year’s focus is depression. I think it’s easy for people to say “No one is ever given more than they can handle” but that has always annoyed me as if this were true, there would be no such thing as suicide. There should be no shame in telling people that one is depressed or has some other mental health problem, nor in asking for help if one is suicidal, but too often these are feelings and thoughts that people keep to themselves. To me, the best way to raise awareness is to discuss these issues openly, though of course the choice is up to each individual for themselves and each family historian for their family’s history. I doubt I ever would have discovered my great-grandfather had committed suicide if I hadn’t started researching my family’s history, and if that doesn’t speak to the stigma still held by so many regarding suicide, I don’t know what does. I have no way to know if my great-grandfather told anyone he was despondent beforehand, nor how long he contemplated suicide before he carried out his thoughts. I can’t say whether it was the right choice for him, only that it is still affecting his family nearly a century later, for better and for worse.